Henry Ford heard of this tithing experiment and also began to be involved. Year after year, what started as possibly the world’s smallest wheat field would miraculously grow an exponential harvest. Soon, Ford would furnish a reaper, thresher, and larger plots of land to continue their experiment. The men would, again, tithe the harvest to the local Quaker church. 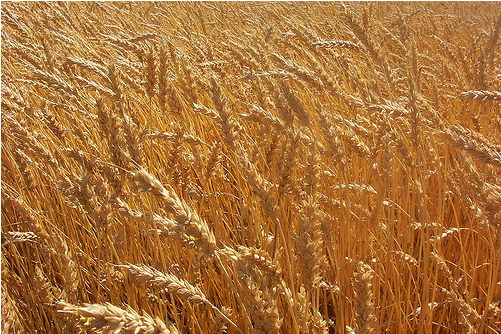 By the end of the fifth year, the two men were in shock as the harvest brought over 5,000 bushels of wheat! Remember this—a farmer who plants only a few seeds will get a small crop. But the one who plants generously will get a generous crop. You must each decide in your heart how much to give. And don’t give reluctantly or in response to pressure. “For God loves a person who gives cheerfully.” And God will generously provide all you need. Then you will always have everything you need and plenty left over to share with others. As the Scriptures say, “They share freely and give generously to the poor. Their good deeds will be remembered forever.” For God is the One who provides seed for the farmer and then bread to eat. In the same way, He will provide and increase your resources and then produce a great harvest of generosity in you. (2 Corinthians 9:6-10 NLT). During the research for PoTENtial, I found dozens of stories just like Hayden and Ford’s, stretching through decades. From the mass production of mason jars to hip-hop and reality tv stars, the Kingdom principle of tithing or activating the Power of Ten has been proven time and time again. Have you put God to the test and leveraged the Power of Ten in your finances? If you can’t answer positively to that question, I encourage you to grab a copy of PoTENtial: The Secret Power of Ten by visiting KeithJohnson.tv/Potential. Dr. Keith Johnson has one mission: to empower leaders to succeed. For the last 25 years he has become known as an internationally acclaimed confidence coach, Kingdom Economist and expert on the Three Pillars of Success: Confidence, Leadership and Wealth. Dr. Johnson is also a church growth strategist serving as Chancellor of Destiny College International.